Darren Voigt, previously Senior VP of Commercial Lending at Bank of Luxemburg, has been promoted to Chief Lending Officer. 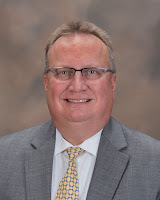 Voigt began his successful career at another financial institution as a mortgage and commercial lender before transitioning into various management roles. With over 25 years in the industry, Voigt has gained experience in consumer and mortgage lending, as well as business and commercial banking and treasury management. Voigt started at Bank of Luxemburg in January 2014. “I appreciate the opportunity to work for an institution that truly puts the customer first,” said Voigt. “Here at Bank of Luxemburg, employees are empowered to make a positive impact.” As Chief Lending Officer Voigt looks forward to working with clients and helping them achieve their financial goals. “As a community bank, we are dedicated to providing the service our customers need,” said Voigt. During his spare time, Voigt enjoys playing golf and traveling.